Enerpac has appointed an Australasian integrated solutions manager to handle demanding industrial and infrastructure projects. 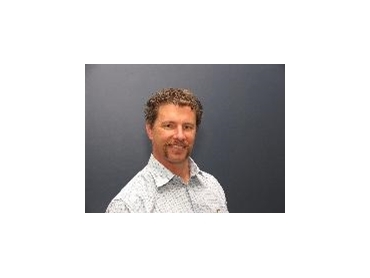 Colin Chapman has more than 20 years experience in engineering, technical and developmental roles involving some of Australasia’s major projects in the building, construction, infrastructure, manufacturing, mining, process engineering, petroleum and safety sectors. Previously a national technical manager and business development manager for a large equipment hire company, Colin Chapman joins an Enerpac Integrated Solutions network extending over more than two dozen countries on every continent. “Colin Chapman brings to this expanding role an extensive base of knowledge that will be invaluable where integrated combinations of world class extreme force tools, technology and expertise are needed,” says Anders Mangen, business unit manager of the Australasian and Asia-Pacific operations of Enerpac. “Colin Chapman been extensively involved in some of Australia’s major industrial and infrastructure projects, including recently pipeline, resources loader, ports, petroleum, heavy lifting and materials handling projects. Enerpac Integrated Solutions projects globally range from lifting of entire buildings and bridges (including the Golden Gate Bridge) to splitting of mining draglines for maintenance and construction of offshore oil rigs. Recent projects include construction of the Millau viaduct in Southern France, which at 300m (984 feet) is a high road bridge in the world. “With the major infrastructure projects now under way in Australia – including water and wastewater, ports, coal and ore loaders, gas and liquid pipelines – Enerpac’s Integrated Solutions capability will become an important resource for industry.